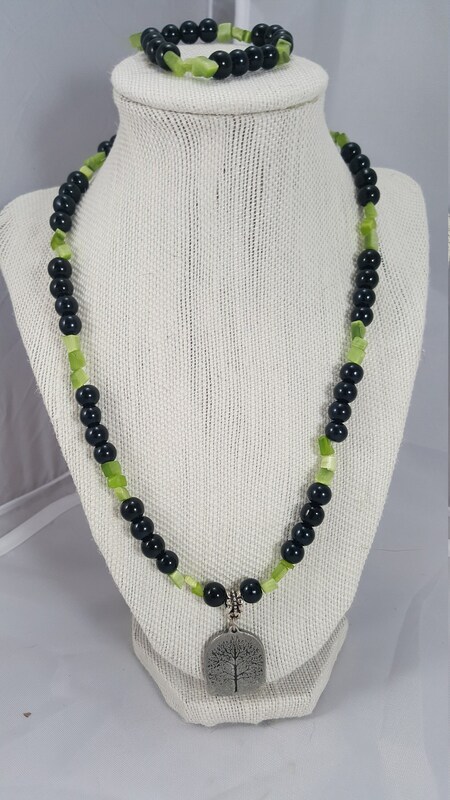 18 premium Black glass pearls with green amazonite gem stones and a 1 Silver family tree pendant and matching 8 stretch bracelet. 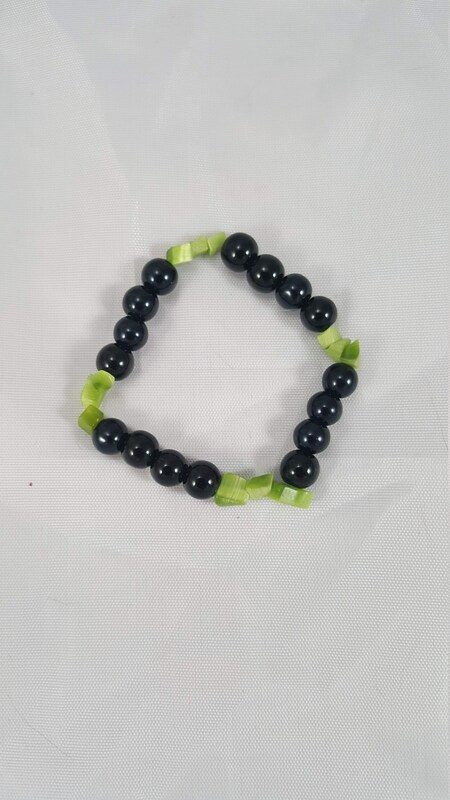 18" premium Black glass pearls with green amazonite gem stones and a 1" Silver family tree pendant and matching 8" stretch bracelet. Amazonite is an extremely ancient gemstone that has been prized for its beauty and healing powers for many centuries. This pale green mineral rock has been carved into statues, amulets and gemstones for jewelry and has had important texts carved on it in times long passed. The tree of life means that you are not an island, but are deeply connected to the world around you and dependent on it for your ability to grow and thrive. 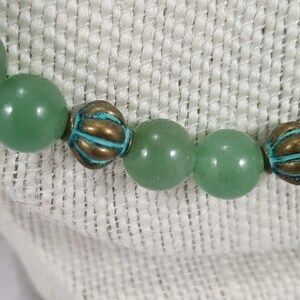 20" light green Jade necklace with metallic green copper beads and a matching light green jade with metallic beads stretch bracelet. 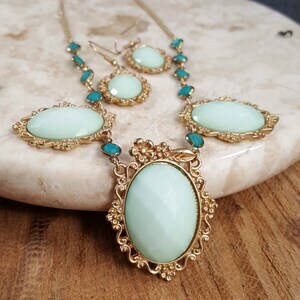 Sky blue jade gems in a gold flowered setting with turquoise gems surrounding each pendant with matching earrings. 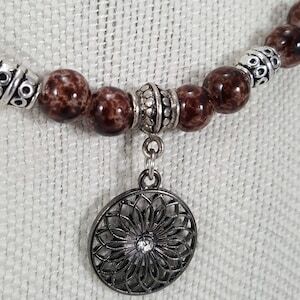 20" Premium chocolate brown glass pearls with silver flower barrel beads and a 1" flower pendant, with matching flower fishhook earrings. 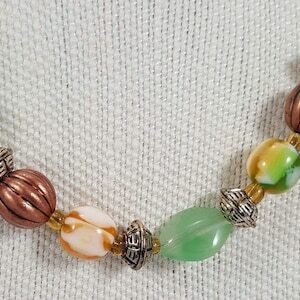 21" multi-colored necklace with gold & copper round beads, Prehnite and agates beads with fish hook agate earrings.